So Mr. Mouskaholic and filmed and prepared Episode 2 to be posted by the end of February, but you know… technical difficulties and all that jazz! Alas, February’s “Episode 2” is now officially available to watch on YouTube! In this episode we discuss Disney news, park and resort updates, my favorite ride at the magic kingdom, resort refillable mugs, and other travel tips! So check out our episode 2 and subscribe to our channel for our monthly update videos! 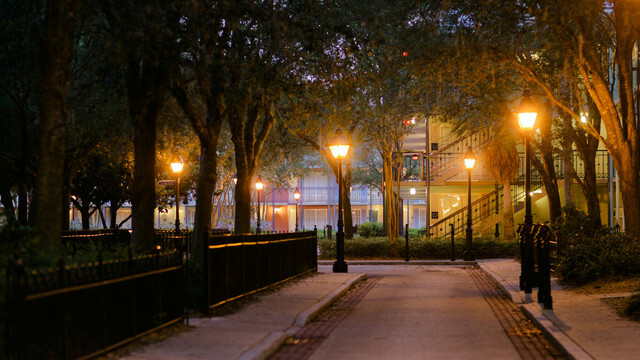 Here is an awesome article on 8 reasons to stay on Disney property from the Charming Travels Blog! 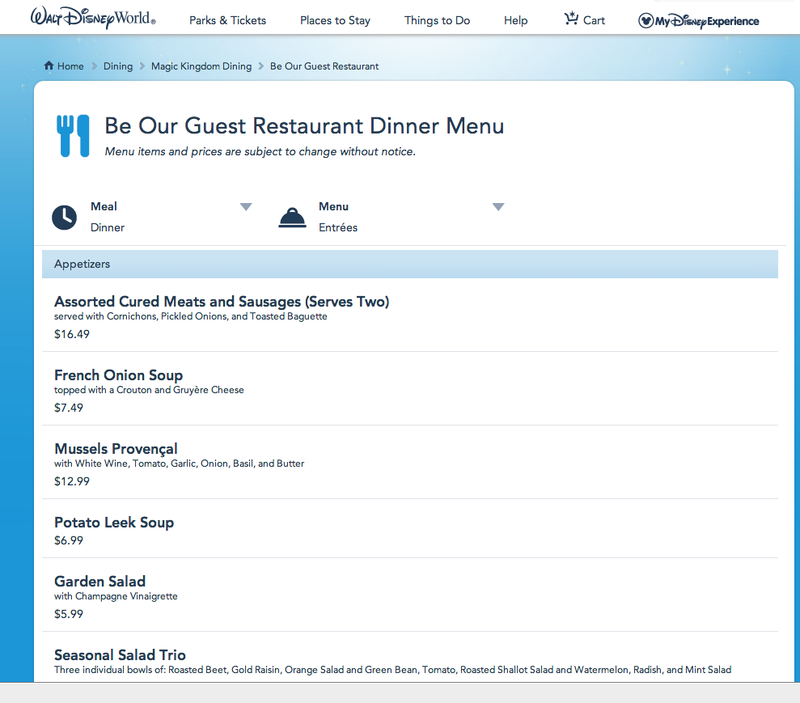 Alright, I know I’ve touched on this one before in other posts, but it’s SOOOOO important to make your dining reservations before you head to Disney World! The very first time that Craig and I ever wanted to go to a sit down restaurant at Disney World was his first trip to the Magic Kingdom. We had no idea that you needed to have reservations to eat at a sit down restaurant! We were lucky and were able to have a VERY early dinner at Tony’s Town Square Restaurant, but had it been during peak season, I’m sure we would have been turned away. If you don’t make the reservations ahead of time, you can always check with the concierge desk at your hotel (if you’re on Disney property that is) and see if there are any dining reservations available. If you’re not staying on disney property you can also check with guest services the day of and potentially make reservations. You can start making your dining reservations 180 days prior to your trip, and that will be necessary for some of the more popular dining experiences (Be Our Guest Restaurant, Cinderella’s Royal Table, Le Cellier Steakhouse). 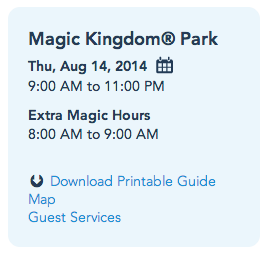 Otherwise I recommend making them once you know what park you’ll be in on which day. 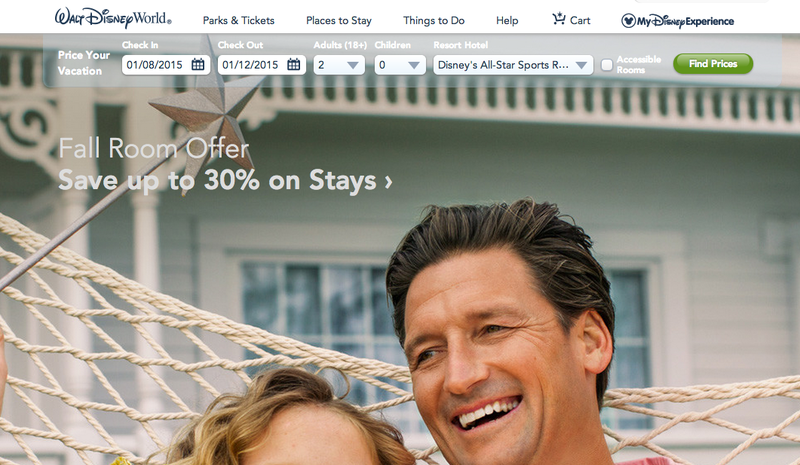 Disney’s website does now require a credit card number in order to make reservations. There is no charge unless your party fails to show up. Also don’t be afraid to check out the restaurants at the resorts! You don’t have to be in the parks to enjoy an amazing meal! 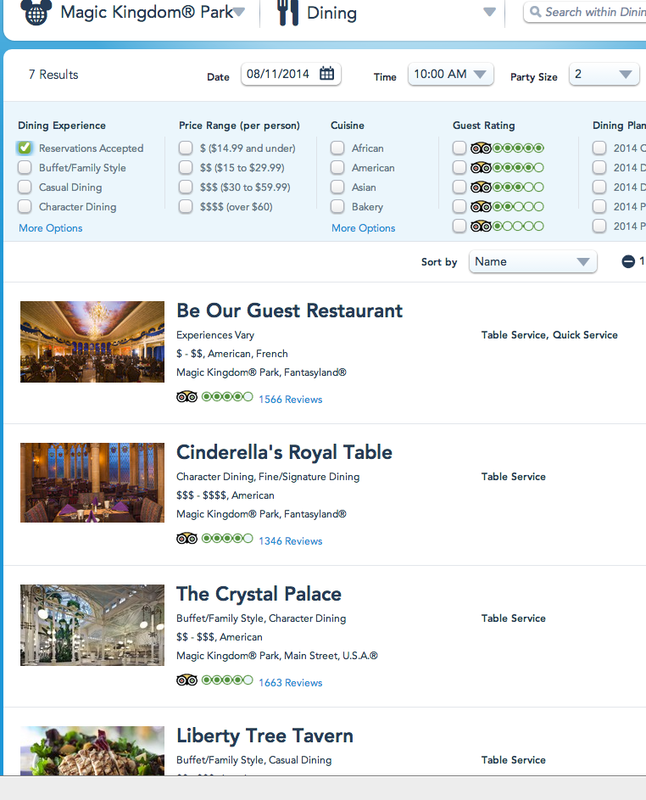 Some of Disney’s top rated restaurants are located at the resorts! 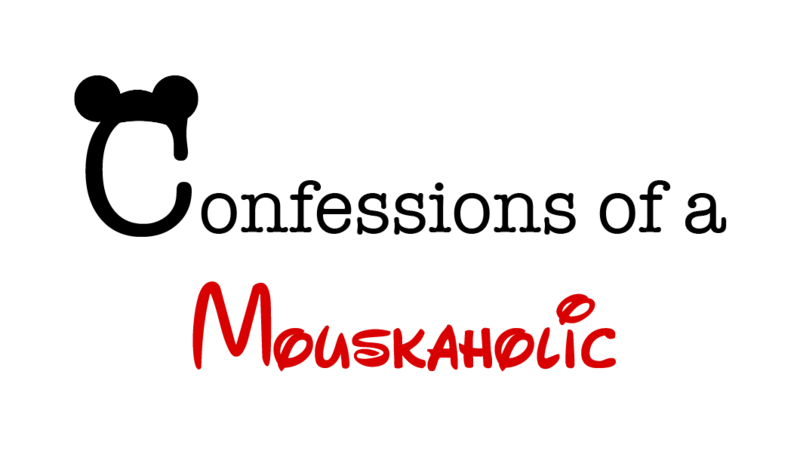 Disclaimer about this post, I am a mouskaholic and love all things Disney. This is how I plan my Disney Vacation. Just because this is the way that I plan my vacation, doesn’t mean it is how you have to plan your vacation. Everyone has their own way of doing things, and it doesn’t make it right or wrong, just different. If you’ve never planned a Disney vacation before this is a good starting point though! 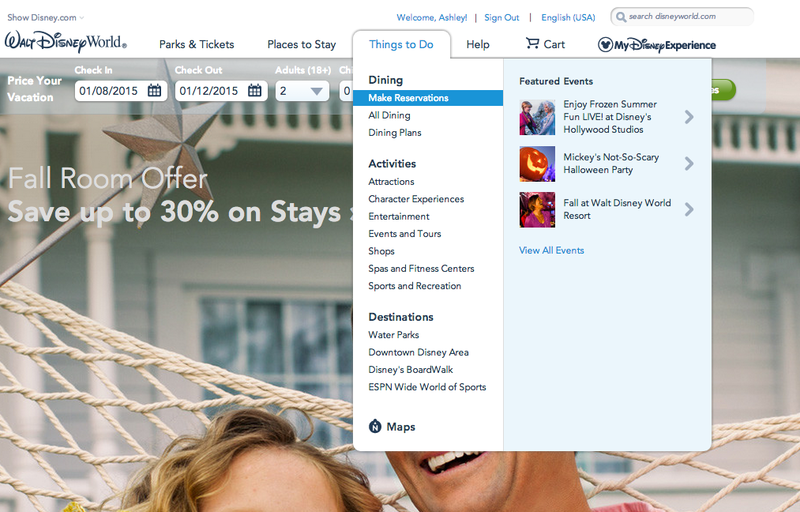 Step 2)– Visit the Disney World website and create an account if you don’t already have one. Step 4)– Begin pricing your vacation! You’ll do this from the main Disney World page. Right at the top, you’ll enter your dates, how many people are going on the trip, and the resort. Price out the vacation with your top choice in resorts. I would then check out the pricing with one or two other resort options. This step is a little involved. After you leave the main page you will have other options to select a)Which room type you’d like b) how many days worth of park tickets you’d like c)Whether or not you’d like to add the park hopper or water park options d) Whether or not you’d like to add the dining plan (If going with this option, you’ll then need to select which dining option you’d like to go with). At this point I write down the price and details and then price it another way, different resort, different number of park tickets, etc. to see what is going to work best for us. Step 5) Choose which option is best for your family and your budget. Step 6) Book your flights. I always book my flights before my vacation. The reason being is that I like to be able to enter my flight information when I book my Disney vacation, so that I don’t have to call later and schedule my Disney Magical Express. Step 7)- Book your vacation! To book you’ll have to have a $200.00 deposit. 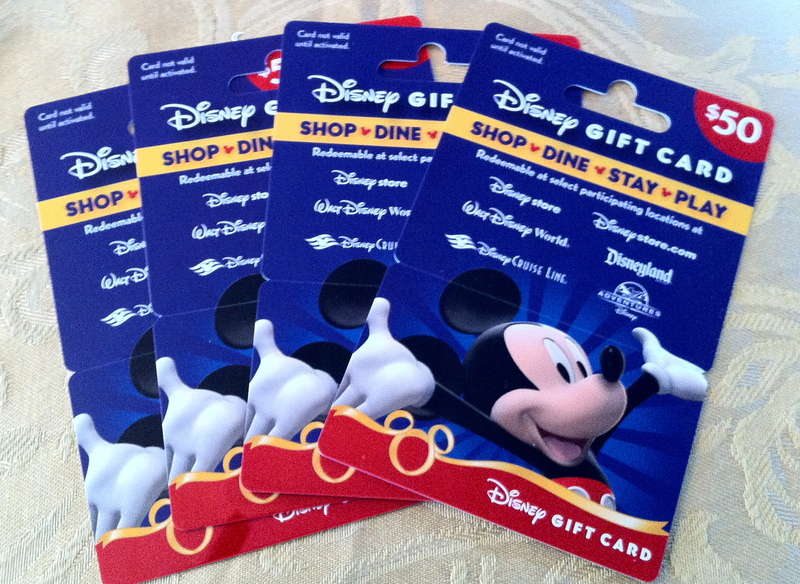 This can be paid by credit card or with Disney Gift Cards! 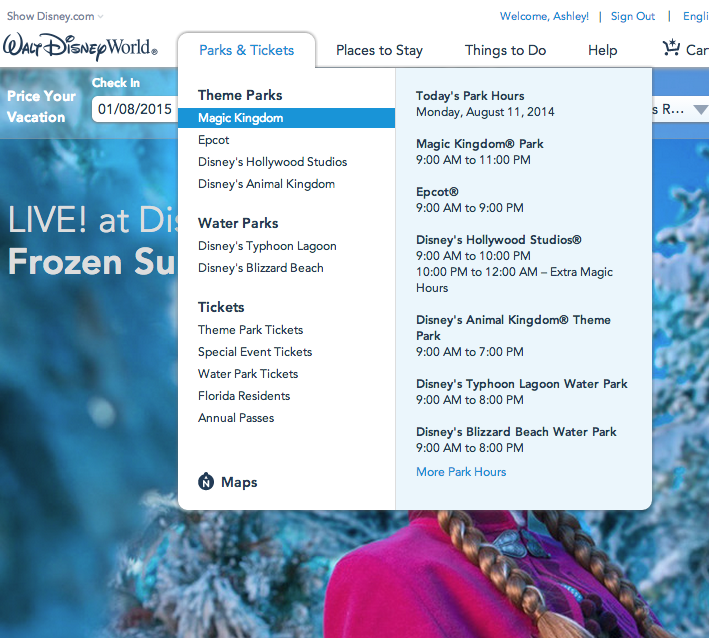 a) From the main page click scroll over “Theme Parks and Tickets” and Select a park. b) Select a park, and click on the calendar for that park, check the dates and see if there are Extra Magic Hours available. This step takes a while because I check for every day that I will be there, and for each of the four parks. 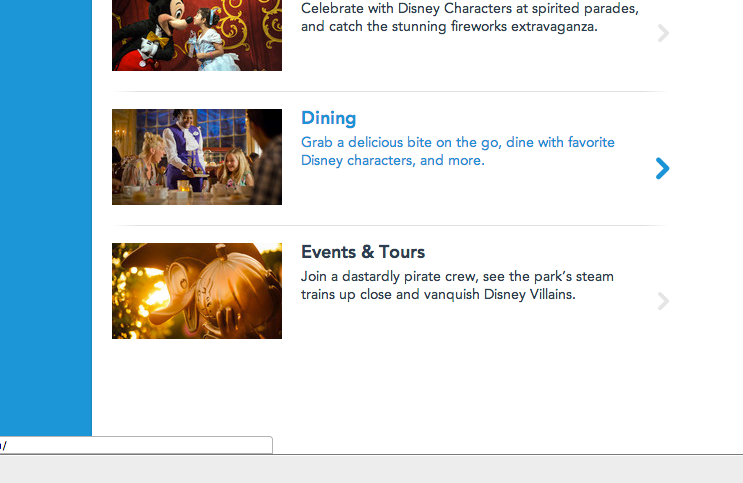 c) I build my itinerary based on which parks have extra magic hours for the day. On some trips we’ve had the park hopper option, and have gone to a park in the morning that had early Extra Magic Hours, and then ended the day with a park that has evening extra magic hours! Step 9) Dining Reservations. Now you know what day you’ll be in which park, so you can make your dining reservations. If you’re wanting restaurants like Be Our Guest Restaurant, Cinderella’s Royal Table, or Le Cellier Steakhouse, try to make your dining reservations as soon as possible. This link will show you all the restaurants within a park. You can narrow your search to include only the table service restaurants, and then check out their menus. Step 10) Alright, you’ve covered most of the main steps. When you reach the point where you are 60 days away from your vacation, you can then book your fast passes for the rides you want! Step 11) Okay, now here’s the hardest part… WAIT for your magical vacation to arrive! I also recommend researching at this point. This is the time to read up on the Disney parks, check out cool Disney blogs (cough cough… Confessions of a Mouskaholic) ask questions from friends and family who have been there before, and look for ways to enjoy your vacation more! Disney, always a new experience. My husband and I will be taking our 6th trip (my 7th trip) to Walt Disney World, since we got married in 2007. We’ve taken trips to Chicago, New York City, Washington DC, Kelley’s Island, and Siesta Key Beach, but there is something special that always keeps us coming back to Disney. 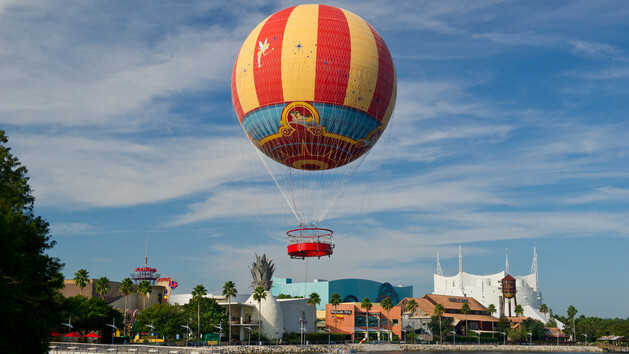 While new experiences are definitely possible in cities like Chicago, New York, and DC, it’s the magic of new experiences at Disney that keep us coming back. Some may question, well you’ve been there so many times- haven’t you seen everything there is to see yet? The answer is a definite no. Walt Disney World is massive. I’m pretty sure I could live at Disney for a 6 months, and still not have seen and done everything there is to do there. Because there are so many new and unique experiences at Disney my husband and I have decided that we want each trip to be special and different in some way. On our upcoming trip (we leave in 12 days WOO HOO!!! ), we’ve planned it so that we will experience many new things, however there are three in particular that I am most excited about!. My husband and I are generally fairly frugal people. Every time that we have stayed on Disney property, we have stayed at the All Star Resorts. 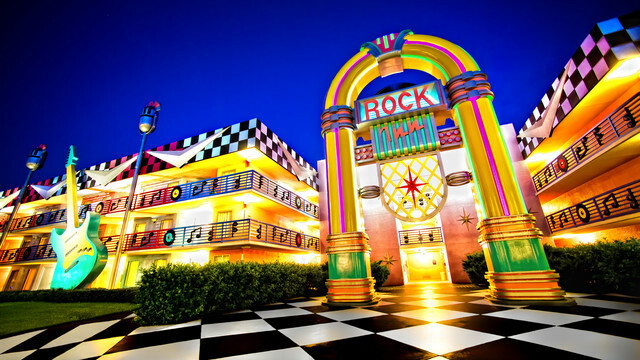 Once at the All Star Movie, and several times at the All Star Music resort. These resorts are wonderful! They are beautifully and whimsically themed, have a pool, clean rooms, and are on disney property for a under $100 per day (depending on what time of year you go). They are a winning hotel situation. We were originally going to go for a longer stay in June and had budgeted to stay once again at the All Star Resorts. We ended up having to cancel the June trip because of job changes and make up snow days (Trust me, calling Disney to cancel was the worst day of my life… no joke, I was in tears after I got off the phone). BUT, we had already saved up the money for this 9 day trip, and it was all on gift cards. We knew that we would be able to go back to Disney, we just weren’t sure when it would happen. 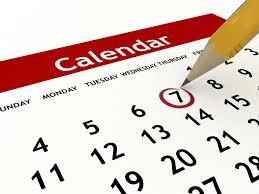 Through some strategic planning we were able to rebook or vacation for August. This time it was going to be a much shorter trip, only 5 or 6 days. Since we had already budgeted for the longer trip, we decided this would be the perfect opportunity to upgrade to a Moderate Resort. 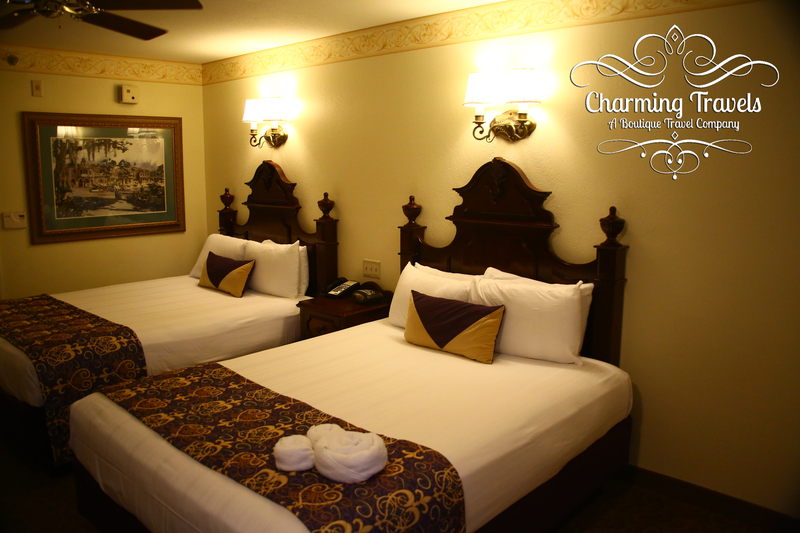 On this trip we will be staying at the Port Orleans French Quarter Resort. There are so many different resorts at Disney, and I am excited to be trying a new one for the first time. Yes, this difference is minor, BUT it is a new experience that I am excited for. When you book a Disney vacation on Disney Property, you can make your Advanced Dining Reservations (ADR) up to 180 days in advance. This may seem crazy to make your reservations that far in advance, BUT the most popular restaurants fill up 180 days out. If you want to ensure the restaurants you want be sure to plan in advance! Craig and I are using the Disney Dining Plan on this trip. Which means that our meals are pre-paid. We added this onto our plan and with it, we each receive 1 quick service credit, 1 table service credit, and 1 snack for each night we are booked. We’ve done the dining plan before, and definitely have our favorite restaurants, however we decided on this trip we want to try all new restaurants. So when making our reservations, as much as I wanted to make a reservation at San Angel Inn, and Le Chefs de France, I opted to book elsewhere for the sake of a new experience. The restaurants that we selected for our table service credits are a mix of restaurants both in the parks and at the resorts, and all restaurants that we’ve never tried. 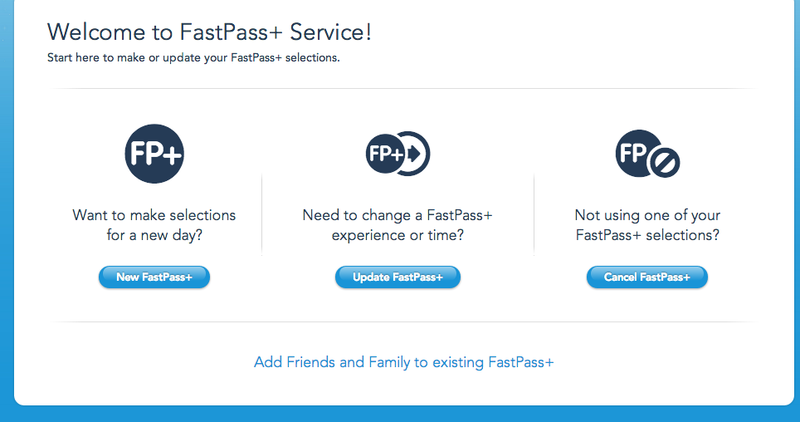 The above listed will use all 6 of our table service dining credits, however, we were able to snag a coveted fast pass for lunch on Monday at the Be Our Guest Restaurant (New Fantasyland- Magic Kingdom). This restaurant is inside the Beasts Castle at the Magic Kingdom. By day it is a quick service lunch spot and by night it is a table service restaurant. With its newness and unique theming if you want to eat here this is one where you’ll need the ADR nearly 180 days out. If not try it for lunch! In my mind a visit or two to Downtown Disney is just as much a part of a Disney trip as the parks are. If you’ve ever been to DD you’ve seen a large balloon floating in the sky. That balloon is called Character’s in flight. We’ve often seen it and thought “Wow, that would be awesome.” This year we are doing it. Disney trips don’t have to all be the same. If planned you can definitely have a different experience every single time you go!